Striking Deane Carafe Wine set . 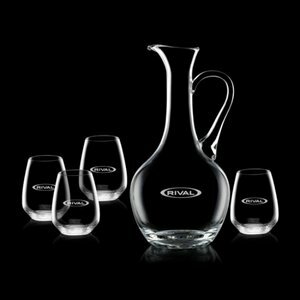 Includes 4 Stemless Wine Glasses . Setup Charges apply.